The musical and social history of Los Angeles's black community from the 1920s through the early 1950s comes to life in this exceptional oral history collection. Through the voices of musicians who performed on L.A.'s Central Avenue during those years, a vivid picture of the Avenue's place in American musical history emerges. By day, Central Avenue was the economic and social center for black Angelenos. By night, it was a magnet for Southern Californians, black and white, who wanted to hear the very latest in jazz. The oral histories in this book provide firsthand reminiscences by and about some of our great jazz legends: Art Farmer recalls the first time Charlie Parker and Dizzy Gillespie played bebop on the West Coast; Britt Woodman tells of a teenaged Charles Mingus switching from cello to bass; Clora Bryant recalls hard times on the road with Billie Holiday. Here, too, are recollections of Hollywood's effects on local culture, the precedent-setting merger of the black and white musicians' unions, and the repercussions from the racism in the Los Angeles Police Department in the late 1940s and early 1950s. Central Avenue Sounds fills a major gap in California's cultural history, and it shows the influence of a community whose role became as significant in the jazz world as that of Harlem and New Orleans. The voices in this book also testify to the power and satisfaction that can come from making music. 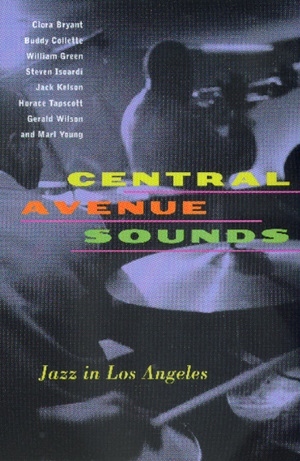 The authors are members of the Central Avenue Sounds Editorial Committee, which includes seven musicians represented in the book: Clora Bryant,Buddy Collette,William Green, Jack Kelson, Horace Tapscott, Gerald Wilson, and Marl Young. Steven Isoardi is researcher/interviewer for the "Central Avenue Sounds" project of the UCLA Oral History Program.